“People complain, ‘Why aren’t you playing in Boise? Why aren’t you playing in Portland?’ I’ve seen some pretty irate comments on social media. What people don’t realize is that promoters have to book us to play in your city. We don’t just hop on a plane or bus and decided where we’re going to play. These things are booked six to nine months in advance and the logistics are all planned out,” sighs bassist Billy Sheehan who is currently juggling Mr. Big, The Fell and the newly announced progressive rock super group Sons Of Apollo. At the moment, he’s doing press to promote the just released Blu-Ray from his band The Winery Dogs, which features Ritchie Kotzen on lead vocals and guitar, drummer Mike Portnoy on drums and Sheehan on bass. 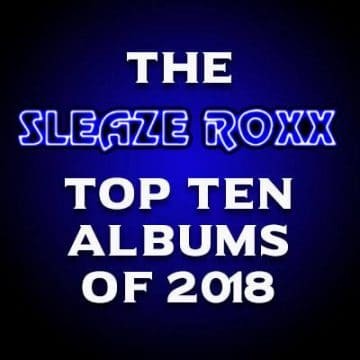 Sleaze Roxx caught up with Sheehan to talk a little bit about ‘Dog Years: Live In Santiago And Beyond 2013-2016’ and more. Sleaze Roxx: Why Santiago [Chile]? I imagine you could have shot the new Blu-Ray anywhere? 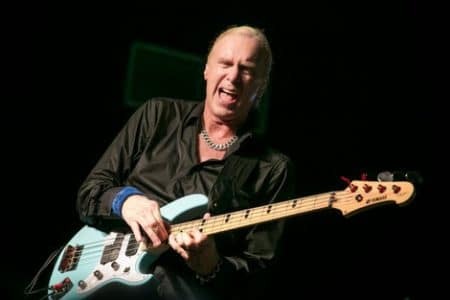 Billy Sheehan: Well, we went with a show where it would be easier for the film crew, audio recording crew to get to and the people of Santiago were amazing and the audience was great. In the end, everything worked out perfectly. 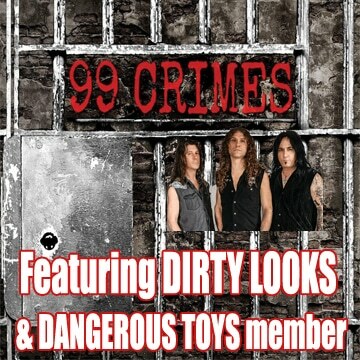 Sleaze Roxx: When I spoke to Ritchie [Kotzen], he mentioned that there were some demos and unfinished songs. Some of those turned up on ‘Dog Treats’ on ‘Live In Santiago.’ You’ve included a CD with five studio cuts. Has The Dogs’ “vault” been emptied at this point in time? Billy Sheehan: There’s a few things still lying around… they’re not completed. We don’t plan things out. There’s [no] grand master plan with The Winery Dogs. Things just happen how they happen. We knew we had this live DVD coming out and we had some songs that had been completed and we decided to include them in this package. One of the songs on that CD is “Moonage Daydream” which as you know is a [David] Bowie cover. We had performed that one live a few times after his passing. We decided to include that just to commemorate the man. There’s some stuff in the vault that could surface at a later time. Out August 4. 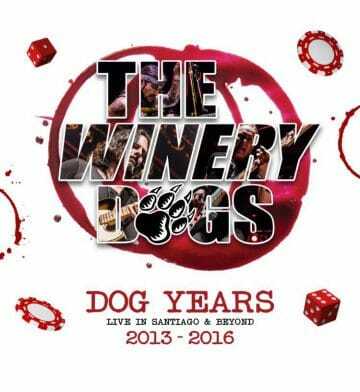 Preorder: http://lnp.io/2smSqBV The Winery Dogs have performed 200+ shows around the world since their inception in 2013. After their second album, the critically-acclaimed, HOT STREAK (2015) they toured the world yet again. In South America, where the rock ‘n’ roll fans are particularly passionate, the band recorded a live show. Sleaze Roxx: While The Winery Dogs have been on a hiatus, you’re been busy with Mr. Big which I’m a fan of. 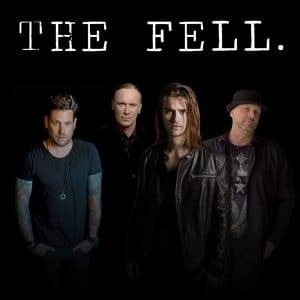 One band that I had no idea you were a part of, or that existed quite frankly, is The Fell. How did you get involved with that band? Billy Sheehan: Mike Krompass, who is the guitarist in Smash Mouth, called me out of nowhere and asked me to come to the studio to play some bass. I agreed. He wasn’t recording too far from me. I went down to the recording studio and laid down bass on a couple of tracks. I asked “Whose songs are these? There’s great!” I kept playing on the songs, which were just better and better and by the time it was said and done, I had played on like 10 or 11 songs. This is so different than what I’m normally involved with and now we’re talking about doing something live in September. People usually see me playing hard rock, progressive rock and metal bands that this is different than that. 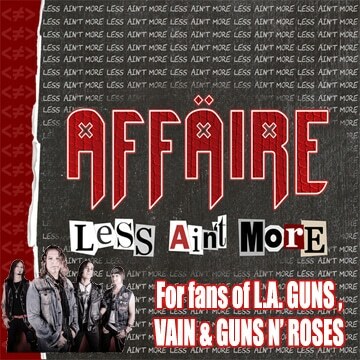 This is ‘modern rock’ but the songs are so well written I had to be a part of it. Sleaze Roxx: So did you approach The Fell as a session musician? 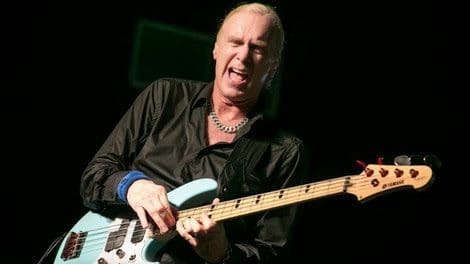 Billy Sheehan: Well, I don’t view myself as a ‘session musician’ but I do at times record for projects and take a ‘selfless’ approach where I play how the producer wants me to play. I enjoy that challenge sometimes too. It’s a different perspective. The Fell -a new alternative rock band consisting of the multi-talented Anthony De La Torre on vocals, who you may also know as Young Jack Sparrow in Pirates of Caribbean: Dead Men Tell No Tales or the drummer in Metallica’s video “Man Unkind” with the cast of Lords of Chaos in which he played “Hell Hammer”, Mike Krompass – Guitar player and Multi-Platinum producer , Notorious session drummer Randy Cooke and last, but not least, Billy Sheehan (Mr. Big, Winery Dogs) on bass, who needs no introduction. Sleaze Roxx: When I last spoke with you in 2015, I asked you if you kept in touch with the ‘Eat ‘Em And Smile’ line-up. You mentioned that you had dinner the previous week with [drummer] Greg [Bissonette] and [guitarist] Steve [Vai] and then a few days after that, you guys were set to take the stage at Lucky Strike in L.A. and it was shut down before you could play a lick. Billy Sheehan: Unfortunately, the fire marshal shut the thing down. We were behind the curtain ready to go on. The club made a huge error and they simply let too many people in. I think 600 was legal, 700 was pushing it, [and] there was 1,200 people in there that night and there was like [a] 3,000 line-up outside around the block. The fire department got wind of this and they arrived right before we played a note and shut it down. I’m almost glad they did because in retrospect while it would have been a great night, it was dangerous. We, on a positive note, got a chance to hang out with Dave [Lee Roth] and who knows? Maybe it [a reunion show] will happen. 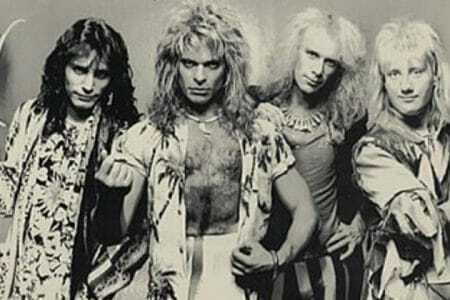 Sleaze Roxx: So a reunion of the David Lee Roth band ‘Eat ‘Em And Smile’ era is still a remote possibility? Billy Sheehan: I do not know. I know if there’s an opportunity I want to be a part of it. David Lee Roth with the Extended Intro of his hit & a great video and song from the 80’s “Going Crazy”. Roth and Hagar were both great with Van Halen and both did very well Solo,Roth did kick it up a notch with Steve Vai on the Electric Guitar, Greg Bissonette on Drums, and Billy Sheehan on Bass (original members) making some great songs and videos! 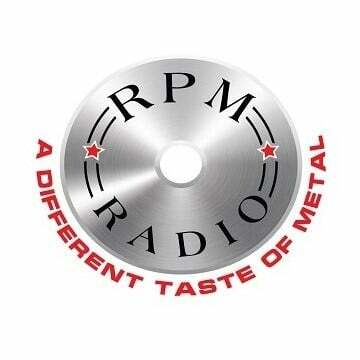 Sleaze Roxx: Another thing that you’re a part of is the band Sons of Apollo. Is this a band or a project? It’s a super group drummer Mike Portnoy [The Winery Dogs, Dream Theater]is in it with you, guitarist Bumblefoot [Guns ‘n Roses, Art of Anarchy], Derek Sherinian [Billy Idol, Dream Theater, Black Country Communion], Jeff Scott Soto [Trans-Siberian Orchestra, Yngwie Malmsteen] and you on bass. Billy Sheehan: Mike, Derek and I went on tour with [guitarist] Tony MacAlpine several years ago. It was mostly instrumental stuff. It was a lot of fun. At that point, Derek and Mike hadn’t played together since they were in Dream Theater. When they were putting this band together, they called me and asked I was interested in playing bass and I said ‘sure.’ They called Bumblefoot and then Jeff Scott Soto who had gone out with The Winery Dogs doing some support slots. We knew that Jeff could sing but getting a chance to hear him again reminded us of just how great he really is. The record is done. We kept things very quiet. No one knew we were doing it. The album is ready for release and we’ll be doing some shows in 2018 to support it. I can’t wait for you to hear it. It’s very heavy. Sleaze Roxx: So is Sons of Apollo an ‘one and done’ kind of thing or will there be more albums? Billy Sheehan: [Pause] Well, why wouldn’t we do another record? I see this no different as to doing a new Mr. Big record or a new [The] Winery Dogs record. It’s a band. Of course, we’ll do another record. Sleaze Roxx: As a guy that ‘tried’ to play bass, I found that there is a learning curve that is similar to losing weight. When you set out to lose weight it seems like it melts right off then after you’ve peaked you do the same thing you’ve done over and over and the weight loss stalls. How did prevent from hitting that peak and continue to grow as a bass player? Billy Sheehan: That’s actually not a bad analogy because once you get to a certain weight, you have to hit the weights harder, adjust your diet and you’ve got to run further. There’s a curve that once you hit it you’ve got to work much harder as you get up there, because now you’re ‘fine tuning it’ and getting into an area where the level of musicianship requires a lot more discipline, a lot more time and a lot more effort. I don’t believe that that there’s nothing that I do that anyone else could do. Just dig deeper. I work at now more than I did when I was 16 years old as a beginning bass player. I think I’m more excited now than I was then about my bass playing. It’s a lot of work but the payoff is fantastic! Sleaze Roxx: Has there been a time where you felt you needed to begin to practice the power of restraint? As in you felt the need not to ‘go off’ when it came time to record music? Billy Sheehan: No. If the song is a ballad, it’s obvious that there’s a whole note there. When the singer is singing, it’s obvious that you’ll have to hold a foundation note underneath him, when the guitar player is playing a lead you’re backing him u, during a solo you might have to do a little unison or counterpoint thing, then that’s what you do. I think if you have to tell yourself to ‘hold back.’ it’s not natural and that isn’t a musical performance. It should come thoroughly from the heart. When we [Mr. Big] performed “To Be With You” it was just bass and vocals. I just reposted a clip that someone had posted on my Facebook page; it’s like a toned down Paul McCartney because he was an aggressive bass player. What I played is what was perfect for the song; I didn’t have to tell myself and no one had to tell me what to play on the song. Sleaze Roxx: Which are we most likely to see from Billy Sheehan, an adult beverage, an autobiography or a documentary? Sleaze Roxx: And for the record, The Winery Dogs aren’t done, correct? Billy Sheehan: That’s right. We’re doing our own thing and stepping away from it for a little bit. We want to get back together and have great stories to tell from our time away and we want to make a ‘righteous’ third record. I promise you Ruben, it will be worth the wait.